via We booked everything for Nashville a couple weeks ago and we're going to be staying in a super cute AirBNB - the first time we're ever using the service and I'm looking forward to not paying crazy hotel prices! I do have a running list of restaurants and things to do, but as always - suggestions are welcome - so please share your must do's for Nashville! I have been WAITING for Bridget Jones's Baby to come out ever since the trailer was released!! I just think this entire series is so funny and even though I'm not normally a fan of Renee Zellweger, she brings this character to life and I mean McDreamy and Darcy are in it - what more could we want?! via I'm headed to NYC in a few weeks for a bachelorette weekend with a few friends! The last bachelorette I went to was in Vegas a few years ago so I'm ready for this one a little closer to home! We've got dry bar appointments planned, shows on the agenda and I'm sure more than a few plans of going out...wish me luck! I don't remember the last time I was out after midnight #OldLadyStatus! Gary surprised me last week with tickets to go see Sia in October - actually the night before we leave for Nashville. The tickets weren't outrageous and our seats are actually really good - so bring on the show!! Not to mention this knocks another one of my 30 before 30 items off the list!! I have been listening to Cheap Thrills non stop and I just adore Sia's voice - there is something so hauntingly magical about it!! 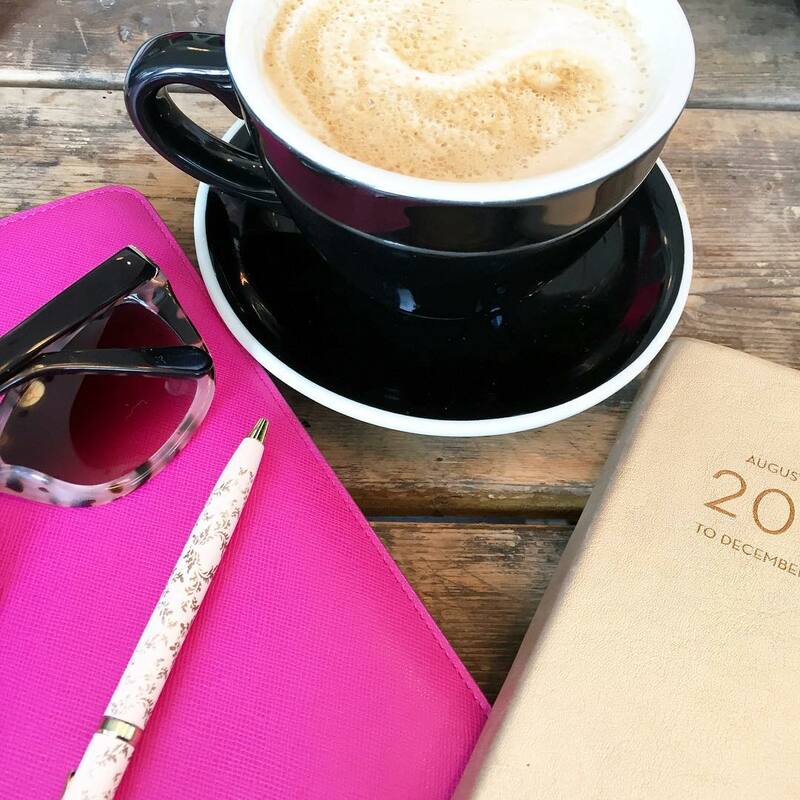 Anything on your agenda that you're excited about!? Sia in concert, how exciting! Now that's a concert I would love to see. I've seen toddler beds from Tuft and Neddle, but I didn't know they came in larger sizes like your mattress. I'm excited to hear what you think about the mattress because we may be in the market for one soon too. I love NYC, have fun! You'll love Nashville. We went for a weekend last month and stopped by Reece Witherspoons new store, Draper James. You should stop by her store and get your pictures with the murals in the alley if you have time. Sprinkles cupcake is next door too! WOWZERS!!!! You have so much to look forward to B!!! NYC is so fun and I just saw the trailer for Bridget Jones Baby, looks so cute! Ah Sia is so amazing, that will be one heck of a concert!! Nashville is on my list, cannot wait to hear your recap!! Get this move over and get settled and get to all this goodness...yay!! You are going to have so much fun in Nashville!! Which neighborhood are you staying in? My favorite is 12th South but I also really love Hillsboro Village--you must eat at Fido when you're there! The Mall at Green Hills has a Nordstrom and a lot of other really nice shops, so if you have time, swing by there! You have so many fun things to be looking forward to! Can't wait to hear about both your trips and if the mattress is all it claims to be! 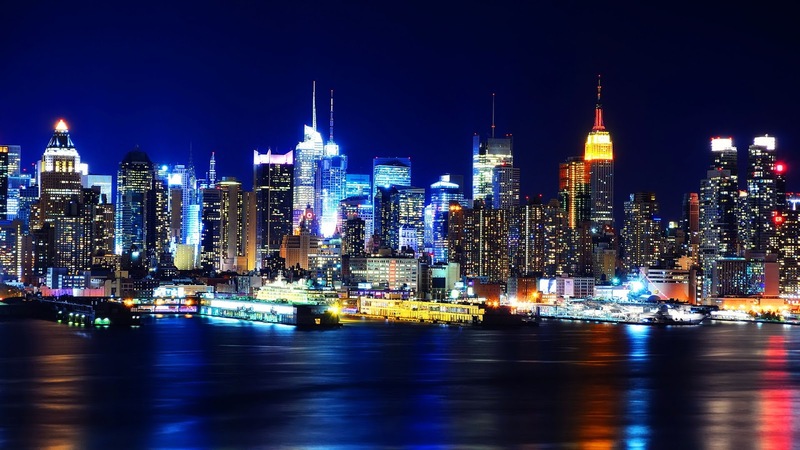 I loooove NYC so I'm sure a bachelorette party there will be amazing! 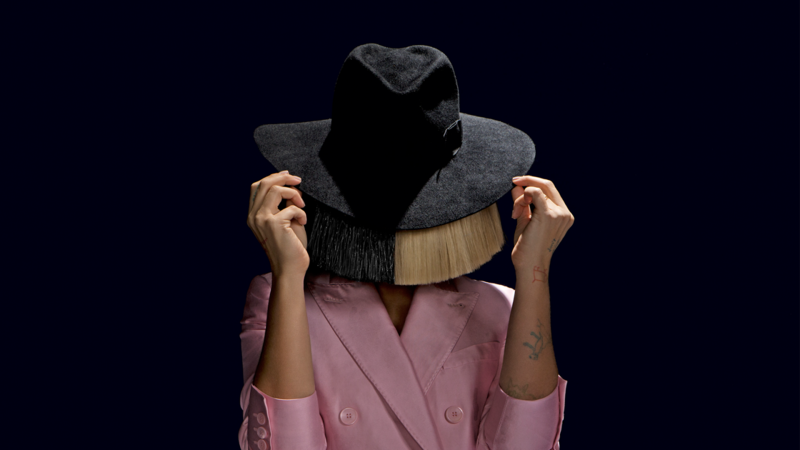 I really love Sia-- all her songs are catchy and her voice is beautiful- that will be a fun concert! That bed looks amazing! 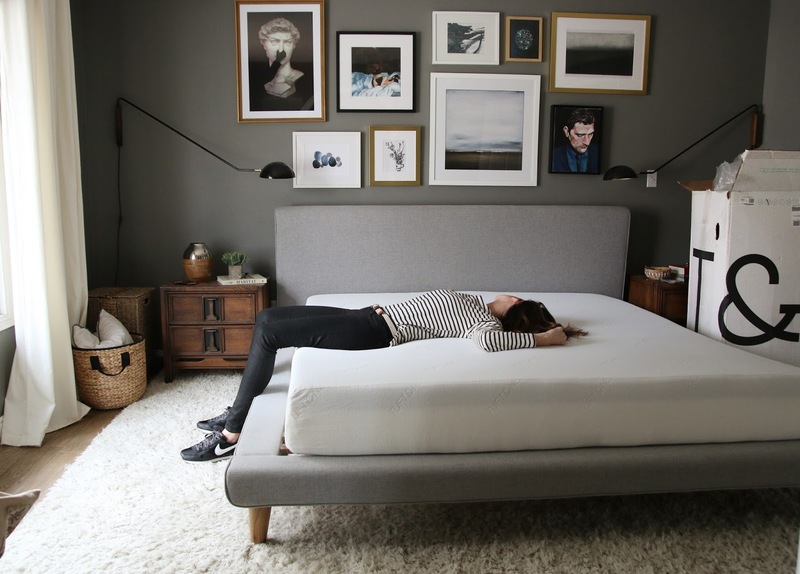 We have a Tempurpedic, but we bought it four years ago when we bought our house, and while I love it, it's not the "keeps-you-cool" kind and admittedly, is pretty hot to sleep in! I'm intrigued if yours truly does keep you cool because if so, we are definitely purchasing one of those when we move in a few years! ;) And to that saying: haha, yes! Clearly someone without a baby made that saying up!!! I cannot WAIT for "Bridget Jones's Baby!" Love me some Colin Firth. You have so much fun stuff coming up!! I'm going to look into that mattress, we need one so bad and the hubby is always complaining about being hot. Can't wait for Bridget Jones's Baby too! WOW! You've got so many fun things coming! And they're all exciting! I'm headed to Nashville too, towards the end of Sept! So many fun things coming up for you! Nashville is definitely on my list so I can't wait to hear your review of that! Looks like you have a lot of fun things coming up. LOVE New York! You have so many great things coming up! I would love to visit Nashville sometime and can't wait to hear your recap! Sia in concert would be amazing! yes to all of this! i am seeing sia for my bday with my girlfriend in oct too and so excited! and that mattress sounds awesome. i need one in a couple years and i'm super into the mattress in a box deal. all deadly. and trips - who isn't loving that! Nashville is one of my very favorite cities in the US! SO much fun especially if you are a country music lover like I am! That bachelorette party will be a blast! OMG, Nashville! How fun! I've always wanted to go there! That is exciting about Nashville! I haven't been there since I was a little girl. Yay to NY/my home city too!! :-) I would love someone to deliver a bed to my office. Just kidding!! Haha. I'm curious about the Bridget Jones movie and that is cool about Sia. She is so talented. Have a great day today!! So many exciting things coming your way as well as some fun trips in the works! Nashville and NYC? Sign me up! You have so much to look forward to!!! Hope you enjoy my city (NYC) I'm sure you gals will get wild.. I am envious of Nashville and Sia! Do you think you'll get to see her face? So much fun stuff!! Nashville and NYC! And I totally understand the excitement that comes from a new mattress. lol. As old as it sounds. It is totally worth the investment! Nashville AND New York?? So jealous of your upcoming trips! And we were in West Elm the other day and layed on the Casper Bed (similar to T&N) and surprisingly it was super comfy and I liked that you didn't sink in like a TempurPedic. Can't wait to see how you like it because we'll be in the market for a mattress soon enough!! You've got some amazing plans lined up, beauty! I've never been to Nashville before, but I've heard some great things about it, I can't wait for you to share your experience, as well as on that mattress! I think it's awesome that it has a feature to keep you cool, there's nothing like a cool pillow, even more so a cool bed! That was so sweet of Gary to surprise you with tickets to see Sia before Nash, you're going to have a great time! Thanks so much for sharing, gorgeous, and I hope you have the most amazing day ahead! We love Nashville! It's only a 2 hour drive for us so we go there several times a year. When are you going to be there? If it's after mid-Nov definitely check out the Gaylord Opryland Christmas, we go to that every year. Grand Ole Opry, downtown around Broadway, the Bluebird are all great stops. So much good food there too! I love Firefly for brunch and if you like Italian food, we love Sole Mio! Oh man, all of those look so exciting! I'm excited for you! I have a Tuft & Needle! I love it!! So much to look forward to! We are excited to try Airbnb for the first time this fall, too. And Sia in concert?! Heck yes! So many fun things planned in the next few months! That is so awesome you are going to see Sia -- I am absolutely obsessed with Cheap Thrills, she has such a great voice! Good stuff on your horizons! We got a bed that came in a box for the shore and it was cheap and great. I hope you enjoy your new one! I so cant wait for Bridget Jones movie too... such a fun girls night movie. We're headed to Nashville for the weekend. I'll have to jot down some places that we go to. I just love that place... so glad my grand babies are there giving me a perfect excuse to go down there every few months. With Nashville and NYC on the horizon you're in for a great fall! I love that he surprised you with the concert tickets - so sweet and that'll be such fun! We are hoping to go to Nashville next year - I'm excited to see your recap!! Omg so many fun things to look forward to!! You're going to LOVE Nashville! I'll have to make a list of all the amazing places we went while there! Are you staying in East Nash or downtown? Also the bachelorette is going to be a blast!! You have a lot to be looking forward to besides your big move!! I have been to Nashville a few times and it is such a fun city! There are so many wonderful restaurants there and I loved just walking around. Especially down by the river. I cant wait to hear about your experience with the mattress. Chris and I want to upgrade to a king size and are currently looking at options. I hope you love it! What a good surprise Gary! And you have so many fun things coming up on the agenda! One of your NYC trips we have to get together! My goodness you've got a lot to look forward to! I fully admit that I have never seen (or read) any of the Bridget Jones stuff but I keep hearing that I need to!! I hope you love Nashville, it's one of my favorite places!! Girl, you guys have a TON going on! So many things to look forward to! I would love to see Sia in concert. Her song Chandelier is one of my favorite songs ever! I love blasting it and singing at the top of my lungs while I'm driving. Haha. I got a Tuft & Needle mattress two years ago and I LOVE it. Love, love it. Right away I felt a huge difference between it and my old bed and even now it just feels good. It's amazing what a difference it makes when you're sleeping on a mattress you have no complaints about! So many fun things coming up!! I'm going to have to look into a Tuft & Needle mattress when I get my next one. I'm getting really sick of my current one & told myself that when I really move the next time I would look into getting a new one. You have so many amazing things coming up! I'm anxious to hear what you think of the new mattress! LOVE Nashville and NYC - you'll have a blast! Nashville is so fun, you'll have a great time!! So much travel going on for you!! I love NYC, you will have such a blast at the Bachlorette. Have fun in Nashville. That is on my bucket list for sure. I look forward to your recap! Such great things to look forward to! I am so excited for Bridget Jones' Baby! Ooooh lots of things to look forward to! Especially that Nashville trip!!! Can't wait to hear about it--it's been on our to-visit list for a while, and one of my good friends at work went this past Spring with her husband and had nothing but awesome things to say about it! OMG can I come in your pocket, I'm super small! You have so many great places to go this fall! I can't wait to hear all about them. We are trying to get a girls weekend to Nashville planned, so I can't wait to hear about your trip! That's so funny that you're going to Nashville/NYC--those are the 2 places we're contemplating for my Bachelorette party! You're going to have a BLAST! And that Sia concert is going to be amazing!! You have so many fun things planned! Our mattress came in a box too, and we love it! It was so easy to set up and so much more convenient! Hope moving day is going well! I'm looking forward to hearing about your NY bachelorette party and also your trip to Nashville! Don't forget to ask me if you want any recommendations- I was born and raised here and love to give tips!! Have a fabulous weekend! You're going to have an amazing time in Nashville!! I had a few friends who went to Vanderbilt for college and I always love visiting them. Plus AirBnB is the best! Yay for so many exciting things coming up for you! I want to see that movie so bad it looks seriously so good! And yay for the Sia Concert I am so jelly! She is such great performer! Yay for super exciting stuff! Sounds like you have so much fun stuff coming up! I love love love Nashville - it's such a fun place. You guys are in for a great time! I first thought the mattress pic was you, and I was going to ask about the lamps - hahah, whoops. Nashville is on my list of places to visit, but haven't made it yet. Hope you have a great time! I want to go to Nashville ASAP. and we're headed to New York this weekend and I can't wait! I can't wait for Bridget Jones' Baby either!! I don't usually care for Renee Zellweger, either...to me, she always *looks* as if she is acting. But I have been thinking about watching the Bridget Jones movies. Looks like you have some super fun things planned for the upcoming weeks! Nashville is gonna be so fun. I had no idea Sia was coming here and am so jealous that you are going. Heck, I just found out that Kayne is here on Saturday night, had no idea. hahah I live under a rock or a purse in my case. Oh my gosh have SO much fun in Nashville. It's such a fun city! :) I am so curious to hear about your new mattress. Caleb and I really need a new one, too, but we're trying to hold off until next year when we hopefully start looking for a house! Ooooh Nashville- SUCH a fun city! Good luck moving, lady- I'm watching it all via Snap + sending good vibes! Girlie you have definitely a LOT to be excited about!! Is it bad that I don't really have anything that comes to mind that I am super excited about this minute? I'm kind of secretly excited about fall (even though I'm burying that way deep down because I don't want summer to end). You'll have to keep us updated on the mattress thing! We need a new one so bad and I have heard of a lot of brands, like Yogi bed and Brooklyn Bedding. This one is new to me, but I love the idea of the mattress company to my door! Also, does the one you guys got require box springs? Nashville, what a wonderful place. And New York is great. I am very happy for you! So many great things you can do there! Nice post hon I hope you have a great stay. I actually saw Bridget Jones Baby a couple weeks ago they had viewing and I got a few tickets and it was a really great I think you'll love it. I so want to go to Nashville someday! I hope you enjoy it! I've never heard of that bed concept so I'm intrigued. I have a few small trips I'm looking forward to - I wish I was planning a big one though! 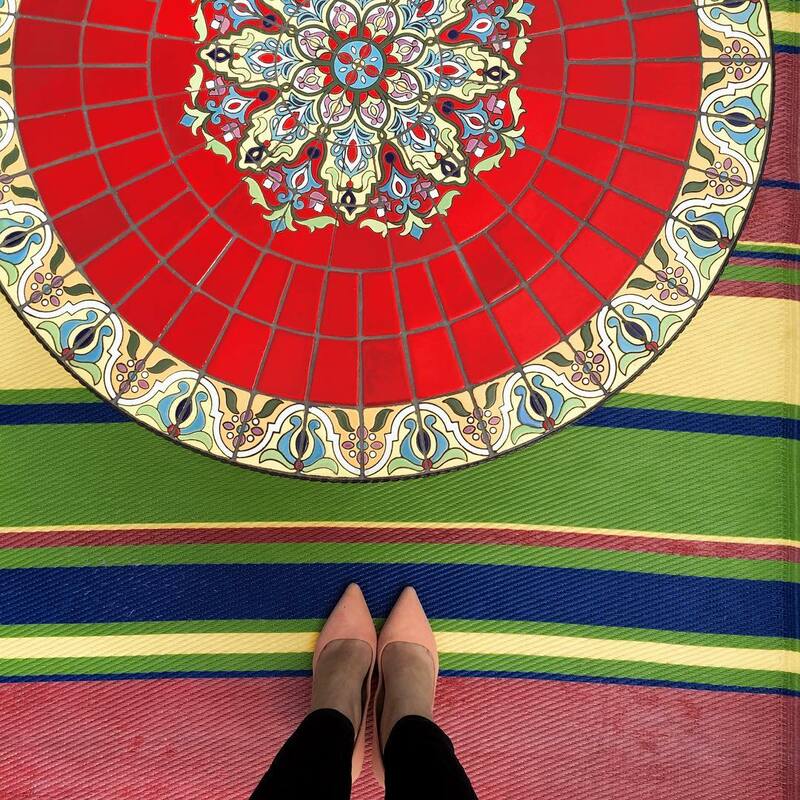 Love this post, you have so much exciting things lined up! NYC Bachlorette party sounds AMAZING! We're headed home to San Francisco tomorrow for a week, and then in October I have some friends staying with us so I'm excited for both of those things! Hope the moving is going well today! I saw your snap about the new mattress- Greg and I need to go mattress shopping this weekend for the new place so let me know how you like Tuft & Needle!! Also, I'm so jealous you're going to Nashville! Ahhhh I love Nashville, I loved doing all the country music history stuff around there. Hope the move is going swimmingly! You have so many fun trips coming up! We loved our trip to Nashville last year, and I can't recommend stopping by Pinewood Social and Sinema enough! The one place that I wish that we had stopped at but didn't have time was Hattie B's Fried Chicken! And a bachelorette party in NYC is going to be such a blast too! I've used Air B&B multiple times and we've had really positive experiences! 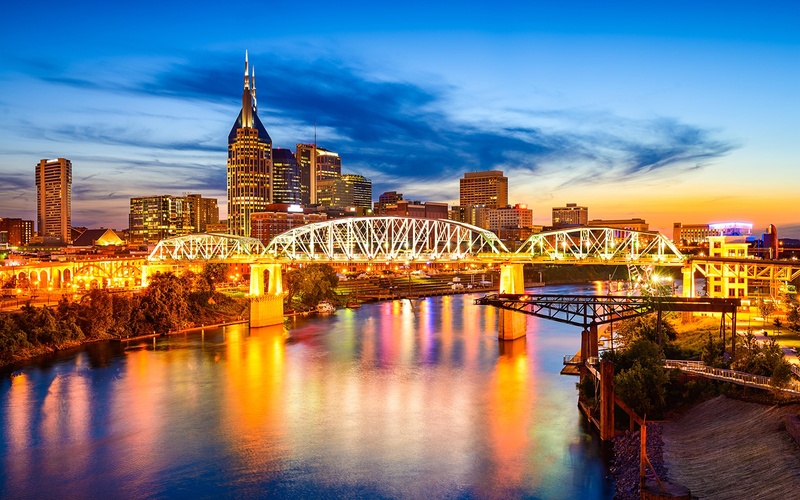 Nashville is so fun too -- checkout the 12 South area! Looks amazing! Can imagine you're excited! I can't wait to hear all about all your upcoming adventures!! They sound perfect!! I'm also looking forward to a mattress review because we REALLY need a new one, I think. Either that or Boston just makes my stress level go WAY down and coming home makes it crazy off the charts! Sounds like you have a lot of fun coming up! I look forward to hearing about your Nashville trip with the BNB. The cooling mattress sounds amazing! I sleep with the fan on in the winter so I would really like that kind of mattress. I like you have been listening to Cheap Thrills non-stop, my favorite song of 2016 hands-down though all of Sia's songs are amazing. Lucky that you will see her in concert. Yeah for trips to Nashville and New York. I haven't been to either places in ages but they are great cities.